Thank you ladies for your dedication, participation and support of our annual event! Mary Beck, DNP, RN, NE-BC, is an Assistant Teaching Professor in the Sinclair School of Nursing at the University of Missouri. This is a new role for Mary in the fall of 2015, as she transitioned from service to academia. Prior to joining the Sinclair School of Nursing, Mary was the Vice President Patient Care Services and Chief Nurse Executive of Boone Hospital Center for 16 years. While in this role she led the organization to achieve Magnet Designation for Nursing Service Excellence three consecutive times in 2005, 2009 and 2014. Only 1% of hospitals in the country have accomplished this. In addition Mary was an influential clinical stakeholder in the design and construction of the new 132 bed patient tower that opened in 2011. Mary has been an advocate for advancing the profession of nursing through her commitment to life-long learning by serving as a mentor for numerous graduate students from across that country and support of colleagues to pursue advanced degrees in nursing. She has been active in professional organizations having served as president, secretary and district representative twice for the Missouri Organization of Nurse Leaders during her 16 years as a member. In 2013, she chaired the Missouri Action Coalition’s Leadership At the Table Committee and met the goals of the Robert Woods Johnson Foundation Funded Grant. She has served her community through service on the Boards of the Boone County Chapter of the American Red Cross, United Way, Columbia South Rotary, the Chamber of Commerce, Women’s Network and various committees of the Missouri United Methodist Church. On a personal note, Mary is a native of St. Joseph, Missouri, having grown up in a household with three older brothers. Mary moved to Columbia in 1981 to pursue a master’s degree in nursing at the University. Her plan was to complete this educational goal and then move to a large city. 34 years later she remains firmly rooted in Columbia with her spouse Jim Beck and loving basset hound Gus. Dr. Tina Dalrymple has spent more than 30 years in the field of nursing. She graduated from Albany Medical Center School of Nursing (Albany, New York) and became a registered nurse, working in obstetrics and home care for several years. She earned a Bachelor ofScience degree with a major in Nursing and a minor in Management from Hartwick College,as well as M.S. and Ph.D. degrees in Nursing from Binghamton University. She spent 11 years as a full-time Nursing professor at Hartwick College, earning tenure and promotion to Associate Professor. Her teaching duties included Community Health, Nursing Management, and Rural Nursing classes. Dr. Dalrymple is Board Certified as a Family Nurse Practitioner, and worked for many years at Bassett Healthcare (Cooperstown, New York) in school-based healthcare clinics. Dr. Dalrymple moved to Missouri in 2014 when her husband, Dr. Scott Dalrymple, was selected as the 17th President of Columbia College. She now works as Nursing Program Development Coordinator at the College, where she also develops and teaches online nursing courses and serves as First Lady. She is actively engaged in activities both on and off the Columbia College campus, including serving on the Central Missouri Food Bank Board of Directors. 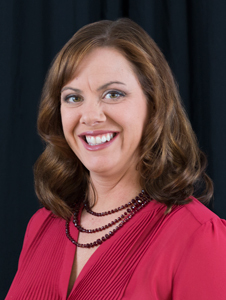 She has served on the American Heart Association Go Red for Women silent auction committee and is a member of the Chamber of Commerce Women’s Network. 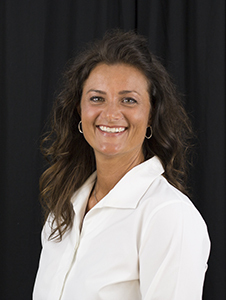 Tina has recently been appointed as a member of the 2016 class of the Greater Missouri Leadership Challenge. She is an active member of the American Nurses Association and the Missouri Nurses Association and participates in the Missouri Telehealth Workgroup. On campus, she participates in the Resident Housing Association Committee, the Partners in Education Committee as well as the Women’s History Month Committee. On a personal note, Scott and Tina have five grown children and two grandchildren. Dr. Dalrymple enjoys art, jewelry making, gardening and playing piano in her spare time. Jo is a Senior Vice President and head of the Wealth Management Administration team at Landmark Bank. She holds a B.A. in Business Administration from Truman State University and has graduated from the National Trust School and National Graduate Trust School, conducted by the American Bankers Association. In her capacity, she leads Relationship Managers and Administrators in ensuring each of their clients is presented with appropriate estate and financial planning tools to meet their individual goals, and she takes pride in assuring that regardless of account size, each client is given the personal service, attention, and professional management they expect and deserve. In the community, Jo is a member of the Columbia Chamber of Commerce, Mid-Missouri Estate Planning Council, and the Margaret Hart Circle of Kings Daughters. In 2005, she was named one of Columbia’s “40 under 40” by the Columbia Business Times and has been spotlighted as one of the “People You Should Know” in that publication. Born & raised in Columbia, Jo now enjoys watching her two children grow up in the same community that she did. Her son Brett (age 13) and daughter Kayla (age 10) are both are active with year-round sports & events which keep Jo and her husband, Doug, on their toes. Doug is a Sales & Leasing Representative for Joe Machens Ford Lincoln. Laura is the co-owner of Pure Barre, Columbia. Her time in Columbia started with attend and becoming a proud graduate of Stephens College obtaining a BFA in Performing Arts. Her passion and love of fitness has her holding several nationally recognized certificates in Pilates, personal training and Pure Barre. Pure Barre continues to support her passion for women aiding and supporting other women in any way possible. Serving as a committee member for True North’s Little Black Dress in 2014 was truly an honor and she looks forward to assisting the organization in any way possible. In the community, Laura proudly supports several local organizations. A member of the Chamber of Commerce Women’s Network and the co-chair of Special Events Committee. In addition, she is member and an executive board member of EPIC. Laura also has the privilege of co-chairing Big Brother Big Sisters Countdown to Kickoff and a committee member for Big Brother Big Sisters Derby event. On a personal note, Laura was born and raised in St. Louis. She had the honor of performing for the St. Louis Muny for three seasons and 2 seasons with Disneyland before attending college in Columbia. While in college she continued to dance professional for several professional performing arts groups. You will find her and her husband of fourteen years Neal, at St. Louis Blues hockey games or in New Orleans several times a year. Jina Yoo is the creator and owner of Jina Yoo’s Asian Bistro, a modern and intimate Asian-fusion restaurant. Many are surprised to learn that he Columbia-based restauranteur and creative-mind behind the restaurant’s eclectic menu’s career did not start in the kitchen. Born and raised in South Korea, Jina came to the U.S. as a young adult to pursue her graduate studies as a Pipe Organist at Indiana University. Her passion for delicious food, manipulation of ingredients, and love of entertaining eventually drew her attention and dream to opening her own restaurant. Prior to doing so, Jina had no formal restaurant experience, no culinary training Jina’s energetic spirit and drive for pursing her dream helped her build her successful business. In spite of what many would consider daunting odds, she was named one of the “2012 Rising Stars of Innovation and Entrepreneurship” by the Small Business & Technology Development Center. Jina also served as a contestant on Master Chef Korea. The show had over 5,000 applicants and Jina was selected to travel to South Korea to compete with the top 100. In addition, Jina has been featured in the Small Business Administration newsletter as an SBA success story, and a finalist for the Columbia Daily Tribune’s Business Woman of the Year. 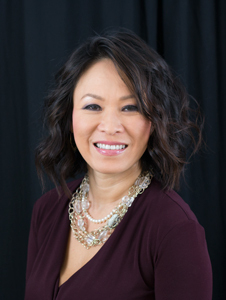 Outside of the restaurant, Jina loves to assist with local charitable events and organizations such as True North, Ellis Fischel Cancer Center, the True/False Film Festival, and the Missouri Contemporary Ballet to name a few. In her personal time, she loves to host family for dinner, visit local farmers’ markets, shop at Barnes & Noble, and explore new cook books and cooking magazines.